Get info on what you can do with the guide on Xbox One. Find out how to customize your Xbox One home screen so you can see your favorite games and your friends’ latest activities. Learn how to sign out of Xbox One. 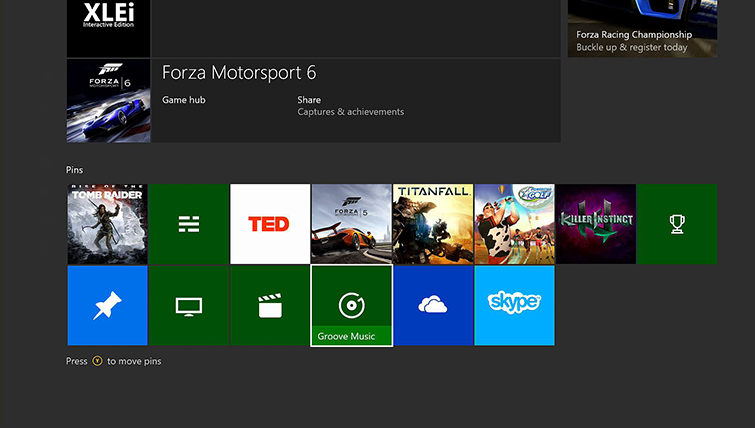 Learn how to group your favorite games and apps on Xbox One. Learn about pop-up notifications and messages you might receive on your Xbox One console. Find out how to use the guide on Xbox One to play games, broadcast, capture clips and screenshots, and track achievements.